Win or lose, without question the year 2016 will go down in history as the year of making Women’s history. With Hillary Clinton, becoming the first woman in U.S. history to become the presidential nominee of a major political party, many would agree that progress is on the rise. 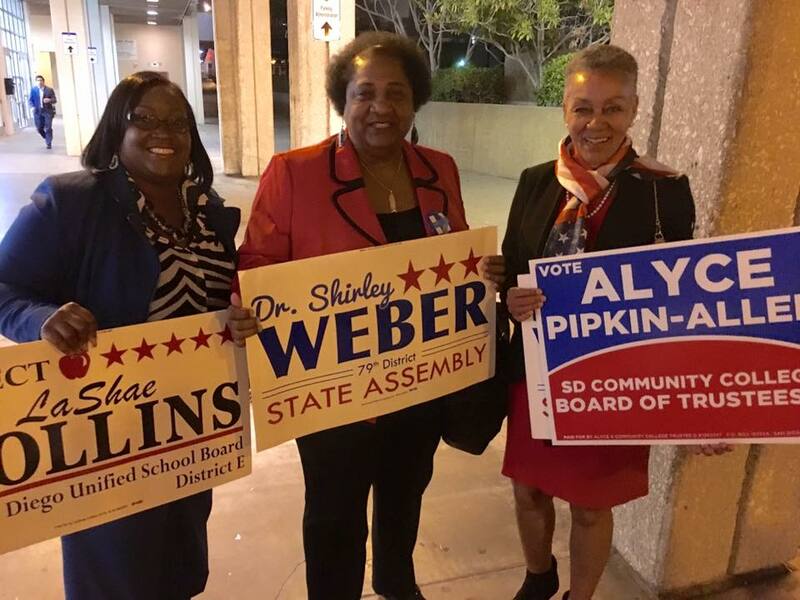 In San Diego, six Black women are politically shaking things up too, as the year of the Political Black women emerge throughout San Diego County, as they run for State, School Board, College Boards and Lemon Grove Mayor in the County of San Diego! Accomplished, powerful and smart, all six are representative of a phrase or hashtag that the world has come to know as #BlackGirlMagic. Deeply committed to social justice in the community, all have a solid history of working towards bringing inclusion and diversity as a means to improve the quality of life for San Diego County residents. Whoever you choose to vote for in this election on Tuesday November 8, I’m sure that we’d all agree that these fierce women have what it takes to address key issues and move forward to achieve their goals to improve San Diego County.